Home › About Somatic Experiencing › What is Somatic Experiencing® › How SE differs from other therapy? The body experiences the event first followed almost immediately by the other levels of our being – language , ideas, thoughts, narrative, emotional responses, behaviours and relationships. When the shared human physiological experience of the fight, flight and freeze response is missed, the capacity of the person to re-establish ease and regulation is missed. It is clear from recent trauma research that the physiology must be central to the work of integration and there is ample evidence to show that work with the physiology is a central to working with the unfinished business of fight, flight and freeze. 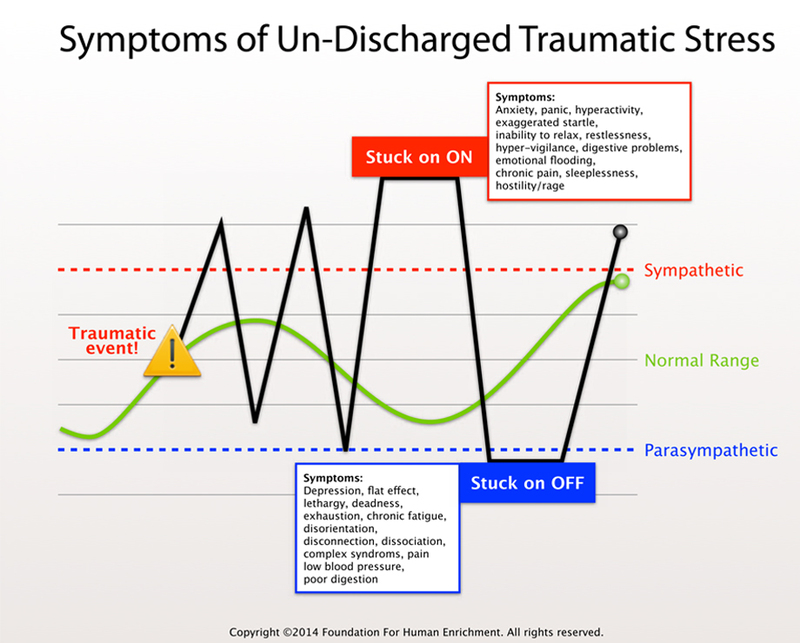 Trauma support has traditionally targeted the emotional and cognitive levels, missing the importance of the physiology or not having the necessary training to work with this. It is the importance of the physiological encoding of the event, which is missed making trauma resolution and integration very difficult and a bit hit and miss. SE employs a bottom up-top down approach to working with trauma which maintains that it is change in the physiology which promote change at other levels of the system. SE employs awareness of body sensation to help people “renegotiate” and heal rather than re-live or re-enact trauma. SE “titrates” experience, rather than evoking catharsis – which can overwhelm the regulatory mechanisms of the organism.